BB fiberbeton A/S, est. 1984, is one of the leading manufacturers of GRC. BB fiberbeton A/S is specialized in production-to-order and elements custom designed for the job. Administration and production is located near Copenhagen, Denmark, with a capacity of more than 60.000 m2 GRC per year and 100% self-sufficiency for moulds. 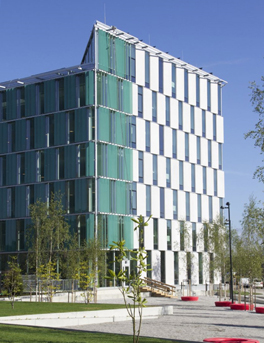 Quality and innovation is of the heart of BB fiberbeton A/S – providing extensive architectural and structural freedom. BB fiberbeton A/S is a family-owned, well-consolidated business with more than 50 employees - small enough for specialist jobs and big enough for large-scale projects. The work by BB fiberbeton A/S is wide-ranging. 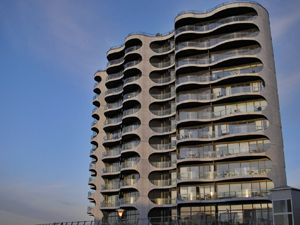 From large-scale facades with BB fiberbeton-elements, to balcony bases and -parapet elements for large apartment blocks, to small jobs such as cornices and reconstruction of crumbling bay windows. 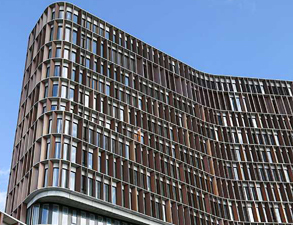 BB fiberbeton A/S focuses on facades, balcony bases and -parapets, cornices, parapets and sills.